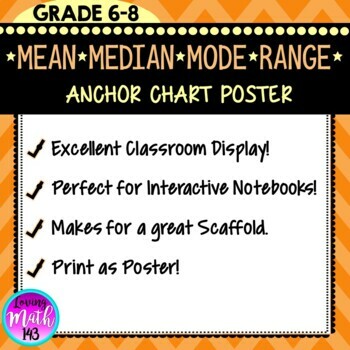 This anchor chart poster is a great tool to display in your classroom or distribute to your students to place in their interactive notebooks and/or binder. 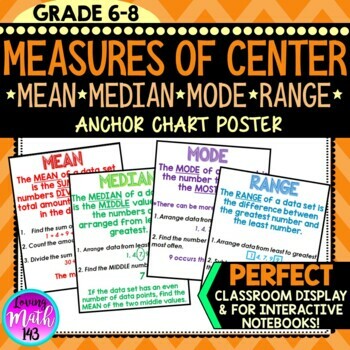 This anchor chart is great break down of mean, median, mode, and range. This anchor is aligned with the 6th and 7th grade Common Core standards students. ★ Steps for each measure of center. ★ Example for each data set.